With 10 days left in the month, the previous November snow record will be further blown out of the snow” with the forecast calling for another 65-95cm (26-37 inches) to fall by Monday. "This is an unprecedented start to the season," says Anton Horvath, Whistler Mountain weather forecaster. "The excitement of locals and guests alike is palpable, and the timing of this record breaking event happening this year as we prepare to be a host venue for the 2010 Olympic and Paralympic Winter Games, is just icing on the cake. 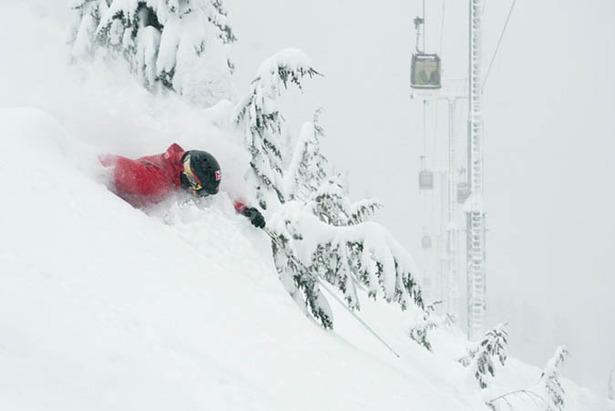 Whistler Blackcomb is well known for the copious amount of snow it receives on an annual basis. The fact that we're only 87cm (34 inches) from reaching the half way point of our annual average snowfall, shows how incredible the start of this season really is." The annual average snowfall at Whistler Blackcomb is just over 10 metres or 33 feet. With 11 days left in November, there is plenty more snow on the way. The Environment Canada Alpine Forecast is calling for 50- 75cm (20-30 inches) of snow in the next 24 hours and the long-range outlook is also calling for more snow throughout the weekend, with a possible 65-95cm (26-37 inches) by Monday.